ECHOES Around the World is a 501(c)(3) public charity dedicated to empowering lives in Uganda and in our home, Philadelphia. Our programs support innovative leaders who create opportunities for children and communities to overcome food and power shortages, poverty, broken education systems, and the devastation of AIDS. Since 2006, donors like you have given us the power to support the Trinity Children’s Centre, Centenary High School, and Double Cure Medical Centre in Uganda. In 2011, ECHOES joined hands with the St. James School in Philadelphia to support their development. View our Fall 2018 Call to Care letter here. For your gift, large or small, we are so grateful. Your support shows your amazing commitment to one child, one community, one donation at a time. 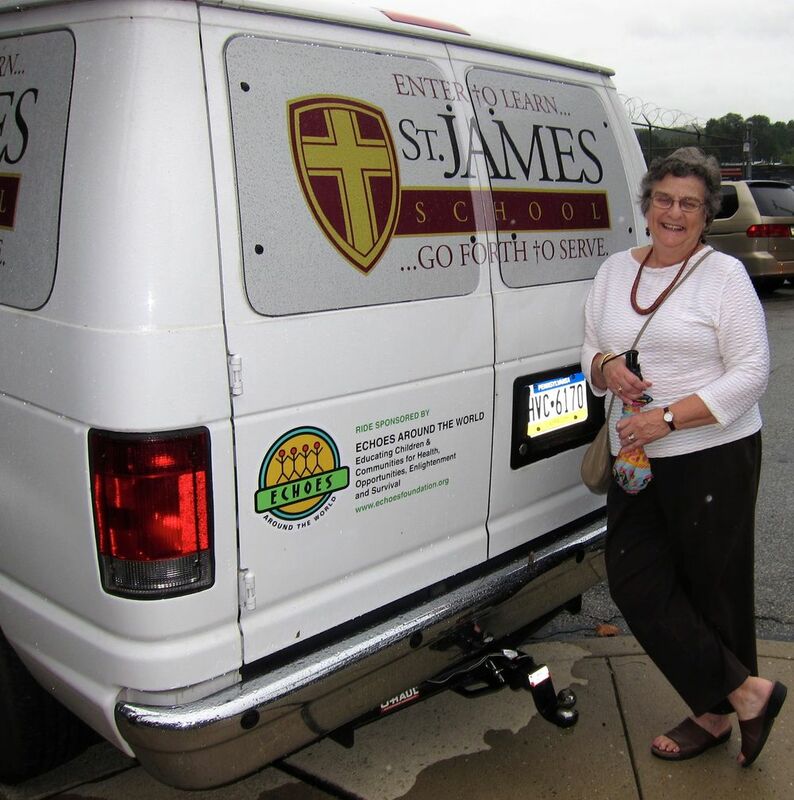 ECHOES co-founder Nereida Gordon stands by the van ECHOES donated to St. James School in North Philadelphia.